Day by day, bit by bit, wrecking ball by wrecker ball, Westport’s artistic and “bohemian” past is disappearing. Fortunately, pockets remain. You just have to know where to look. This Sunday (June 10, 11 a.m. to 4 p.m.), a secret gem takes the spotlight. 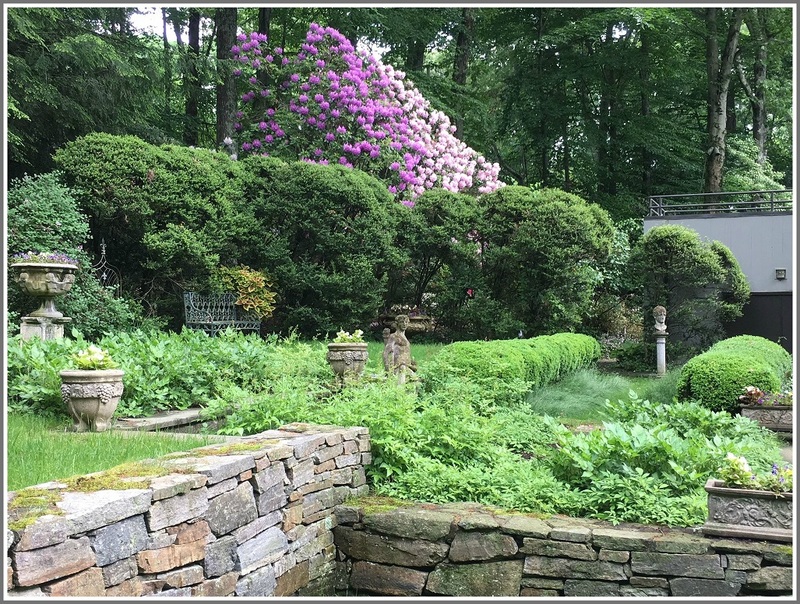 The Blau Home and Gardens is one of 4 properties featured in the Westport Historical Society’s 27th annual Hidden Garden Tour. Designed by Broadway theater designer Ralph Alswang, the home is rustic and glamorous. From salvaged exposed heavy barn timber beams — uncommon in modern homes of the mid-20th century — to a Romeo and Juliet bedroom balcony window opening to the living room, and a dramatic main staircase, the house off Bayberry Lane was owned by advertising mogul Barry Blau. Both he and Alswang journeyed from poor, urban roots to the then-freewheeling arts colony of Westport. The garden — like its owner and designer — is informal and unconventional. It features massive rhododendron groves, towering oaks, antique sculptures, paths, benches, ornamental gates and stunning stone walls. Blau’s widow is almost 90. The WHS says she and her family want to preserve the home and property. Welcoming Hidden Garden Tour visitors is one way to see it. 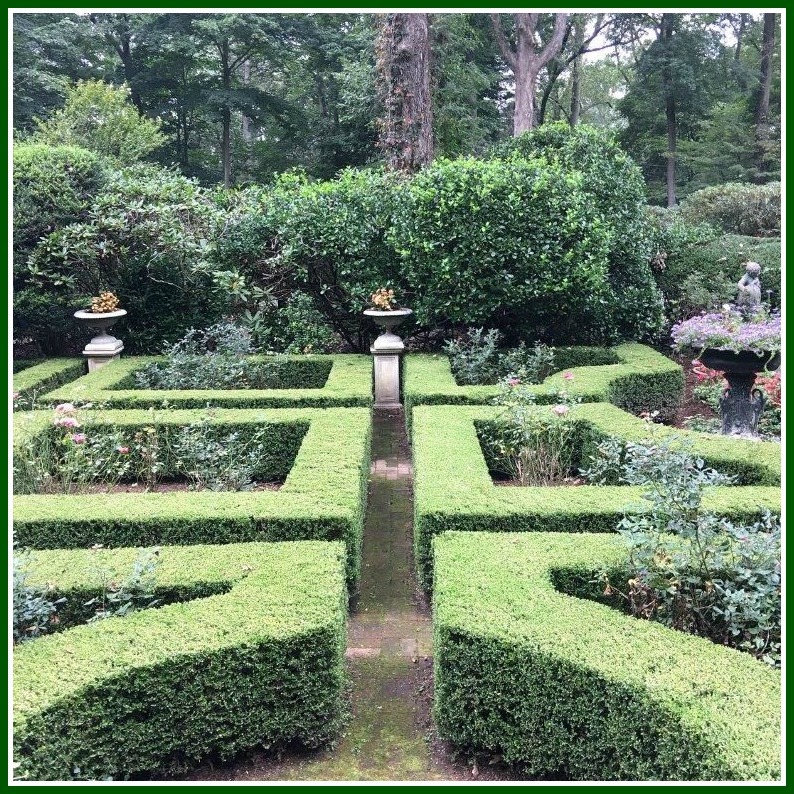 The tour also includes an English rose garden with Italian fountain; a meticulously restored 1820s onion barn with post-and-beam construction, original stone foundations and antique farm equipment, surrounded by woodland gardens, and a 225-year-old colonial farmhouse in Weston, with 30 varieties of peonies and exotic specimen trees. In addition to Sunday’s tour, unique items for gardeners and garden lovers from local artisans and businesses are available for sale on the Historical Society’s front lawn (25 Avery Place, 9 a.m. to 4 p.m.). That front lawn is well-known, and very visible. To see those 4 hidden gardens though, you need a ticket. This entry was posted in Environment, Organizations, Places and tagged Barry Blau, Ralph Alswang, Westport Historical Society. Bookmark the permalink.